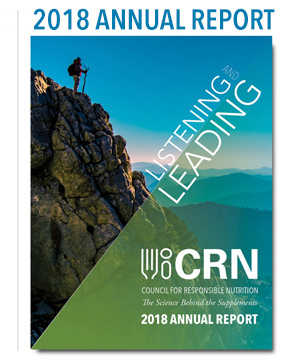 The Council for Responsible Nutrition (CRN), founded in 1973 and based in Washington, D.C., is the leading trade association representing dietary supplement and functional food manufacturers and ingredient suppliers. CRN companies produce a large portion of the dietary supplements marketed in the United States and globally. 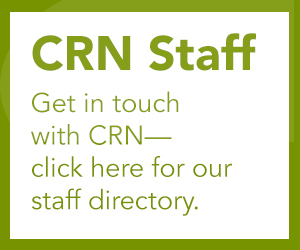 CRN’s mission is to sustain and enhance a climate for our members to responsibly develop, manufacture and market dietary supplements, functional food and their nutritional ingredients. Our member companies manufacture popular national brands as well as the store brands marketed by major supermarkets, drug stores and discount chains. These products also include those marketed through natural food stores and mainstream direct selling companies. CRN represents more than 150 companies that manufacture dietary ingredients and/or dietary supplements, or supply services to those suppliers and manufacturers. Our member companies are expected to comply with a host of federal and state regulations governing dietary supplements in the areas of manufacturing, marketing, quality control and safety. Our supplier and manufacturer member companies also agree to adhere to additional voluntary guidelines as well as to CRN’s Code of Ethics.